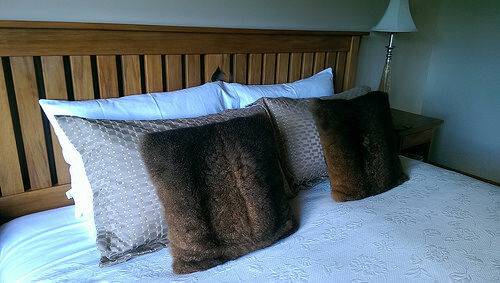 You’d never guess that Holly Homestead Bed & Breakfast Franz Josef, has been operating for a number of years. There’s no hint of any wear and tear and that’s impressive. 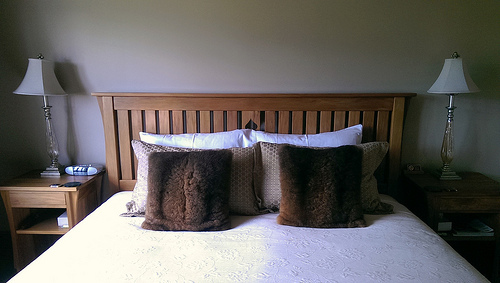 Owner/operators, Bernie and Gerard Oudemans, have set a very high standard of care for their boutique accommodation. 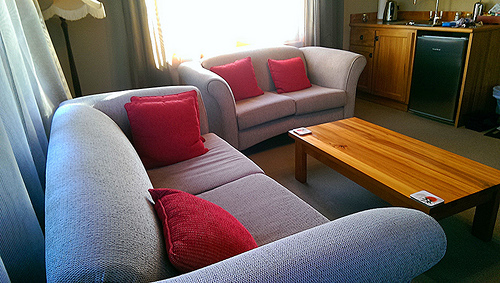 Holly Homestead Bed & Breakfast has a differently priced room options. We stayed in the premium suite, a one-bedroom apartment. It was extremely spacious. We had a great deal of privacy from the other guests in the house. The bedroom was very large with stylish furnishings. It may not big a big deal to some, but a lot of us appreciate newish magazines in the magazine rack. Kicking back with quality reading material is a great way of relaxing after a car journey. But, being provided with a super-king bed is definitely a big deal for many travellers. 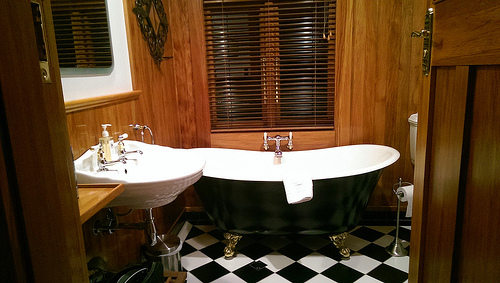 The bath is perfect for relaxing in the suds – you can admire the gold-plated tap fittings and gleaming white surfaces. When I asked Bernie how long it took her to service each room, she just smiled and said “a while”. That’s an understatement! On the night we stayed, every room was full. It must have been a busy time for the hosts. But Bernie gave each couple plenty of time to discuss their activities for the next day. You can’t beat the local knowledge folks! Next morning Bernie bustled around the kitchen table with plunger coffee and toast, while Gerard cooked breakfast. Now, here’s a man that takes his cooking duties very seriously. All the mushrooms on Michael’s plate are the same size and lined up like soldiers. The poached eggs are a work of art. Another plus for staying here is the cooked breakfast on offer. 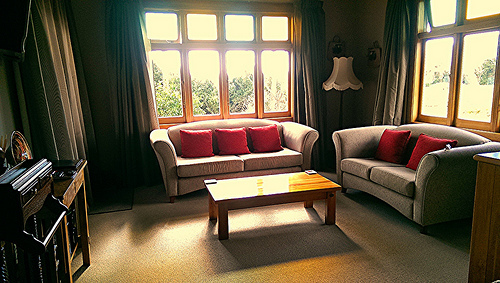 This has been a great home away from home and just enough out of the main Franz Josef township to ensure a silent night of blissful sleep. 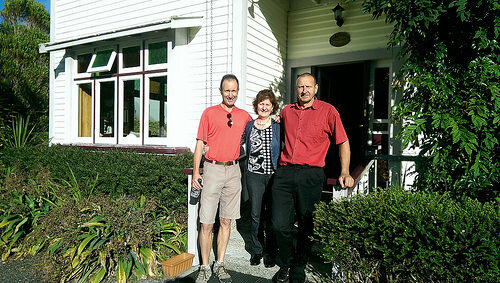 Holly Homestead Bed & Breakfast Franz Josef attracts guests looking for good old-fashioned Kiwi hospitality. For me, this was another memory to savor. 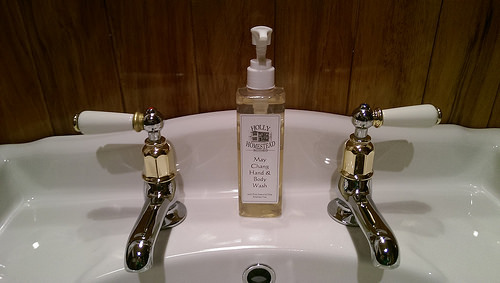 We’ve had many a great stay at Holly Homestead and agree Bernie and Gerard are a delight as is their stunningly beautifully restored homestead. It is a work of art.